There’s a lot on your mind when you’re building a new home, and window treatments are often on the top of the list. With so many decisions to make, it can be a challenge to decide which window treatments work best in each room. At Windows, Walls & More serving Northville MI and the surrounding area, we can help you find the window coverings that will work in your new home for you at a price you can afford. Energy efficiency of your window treatments. Saving money on heating and air conditioning is important to everyone, especially here in Michigan. With a wide range of energy efficient window treatments, we can help you maximize your energy use. 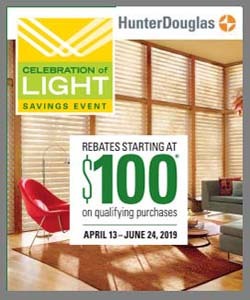 Hunter Douglas offers many stylish window treatments that allow you to save on energy costs. Vignette shades, including classic roman shades, as well as Duette honeycomb shades, provide energy efficiency and beauty that works with any décor. Our Architella shades have the highest energy efficiency rating in the industry. Window treatment style and design. One of the most important aspects of your new window fashions are how they will look and feel in your new home. We will consult with you to understand your stylistic goals and how your new window treatments will complement or enhance the rest of your décor. We’ll help you choose designs, colors, and styles that can work as you change other elements of your room design. Many customers like to mix and match color options, including using drapery and other soft treatments to enhance the look of blinds and shades. Window treatment functionality. Understanding how you need your new window treatments to function is just as important as how they look. Factors such as light and privacy control are critical to how satisfied you’ll be with your window coverings in the future. Lifting systems are also important. Motorization systems are very popular, and can help you operate window treatments in hard-to-reach windows, such as in skylights, up in vaulted ceilings, or behind bath tubs. Safety for children. While all our window covering options have safety features for children and pets, some go way above and beyond accepted safety standards. Cordless operating systems, for example, are the gold standard for window treatment safety. 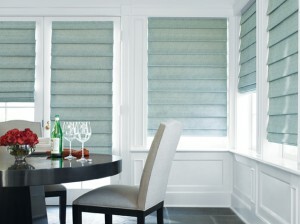 All our blinds and shades can be customized for maximum safety without sacrificing style. Windows, Walls & More was established in 1977 and has become the leader in window treatments, wallpaper, interior design and more. 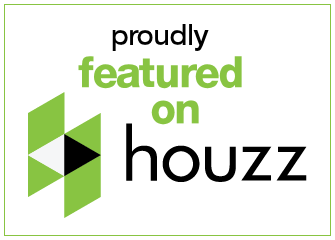 With a beautiful Hunter Douglas Gallery showroom in West Bloomfield, Windows, Walls & More serves West Bloomfield and the surrounding areas, including Troy, Livonia, Bloomfield Hills, Northville and Novi. Stop by our Hunter Douglas Gallery to see our many functional window covering displays. For more information, or to schedule your free in-store consultation, give us a call today at 248-661-3840.